This is an enchanting album. There’s something very honest and endearing about Hall’s vocals and lyrics and the music she creates to help her tell her tale is wonderful. It moves between country, Beatles-like pop rock and nearly pure jazz with finesse and grace. This is an album that should win over just about anyone who hears it. Yes, I think the appeal is that widespread. I would have to say it’s one of the best independent release discoveries I’ve made – and I hear a lot of new music. 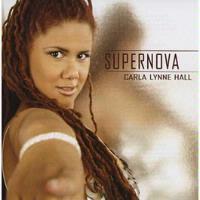 You can sample a couple songs from Hall in our members area and see what I mean. At first I could swear I hear theremin on this – and I love theremin. In any event it moves out to a rather psychedelic sounding arrangement that reminds me a bit of The Beatles. From there this becomes a pop rock cut that’s got some definite retro ties. It’s a good tune. The bridge on this is particularly Beatles-like. Hall changes gears drastically here, bringing us this stripped down, gospel-like country cut. This opens with a sound that reminds me of Pink Floyd. When it drops back to the verse it’s closer to the tones of the previous piece. There’s a Beatles-like bridge and those sounds remain after, merging with the more country based elements of the verse. Those Beatles elements are back here, but there’s a million other things going on here, too. This is purely sublime and the best cut on show. It’s emotional both musically and lyrically. Hall’s vocal delivery is incredibly powerful and this track is simply brilliant. This one is worth the price of admission here even by itself. Here’s a funky and bouncy little number that reminds me quite a bit of Stevie Wonder. It’s a catchy tune and possibly the best move to follow up from that last masterpiece. You don’t need to compete with something that strong if you change things up completely. There’s a definite retro element to this. I wouldn’t necessarily call this a “blues.” Sure, it’s got a bit of a bluesy edge to it, but it’s more jazzy than that. This is seriously sultry. Sure there is some definite bluesy guitar here and there, but that’s way too restrictive a term for this. Much of the disc has a sexual nature, but the line “I know your favorite position, but not your middle name” is particularly telling. This has such a tasty musical texture it’s a killer track and I love it. It’s another highlight of a very strong disc. This song is all about a mother’s love for her child. It’s a rousing country music goes bluesy piece. It’s a little trite in some ways, but it’s still a good cut. In comparison to the rest of the disc it might be the weakest, but this would be one of the winners on many artists’ discs. This is pretty much a pure jazz cut. It’s powerful and beautiful. There are some definite progressive rock elements here and this is another highlight of the disc. As this opens it has definite Beatles-like elements, but perhaps as delivered by Tom Petty. It starts as a tentative and sparse arrangement, but shifts out to something more powerfully delivered later. For something that starts with such a stripped down approach this becomes incredibly involved and powerful. It’s another highlight. I love the opening lines, “I’m the Ethel to your Lucy / But our show is over and you’re moving away.” This is a folky sort of piece that’s pretty and poignant. It’s more subdued than a lot of the disc, but it’s a good change of pace. As you might guess this is a reprise of the opening number. It’s got more of a country texture as delivered here. It makes for a nice book-ending approach.